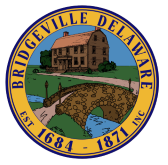 Bridgeville Christmas Parade-Route- December 17, 2016, 4:30 p.m.
Join the Town of Bridgeville for floats, food, vendors and caroling! Bring your chairs and blankets and line the streets. Keep in mind roads will be closed and parking limited so please carpool and plan to arrive early. Afterwards head over for caroling in the park and hot chocolate!